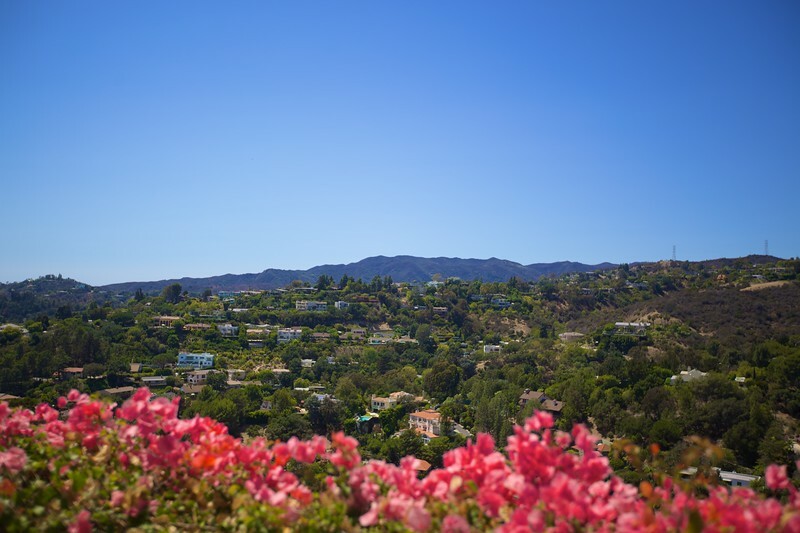 View across Crestwood Hills from the Getty Center. Looking over I-405 from the Getty Center, towards Beverly Hills. 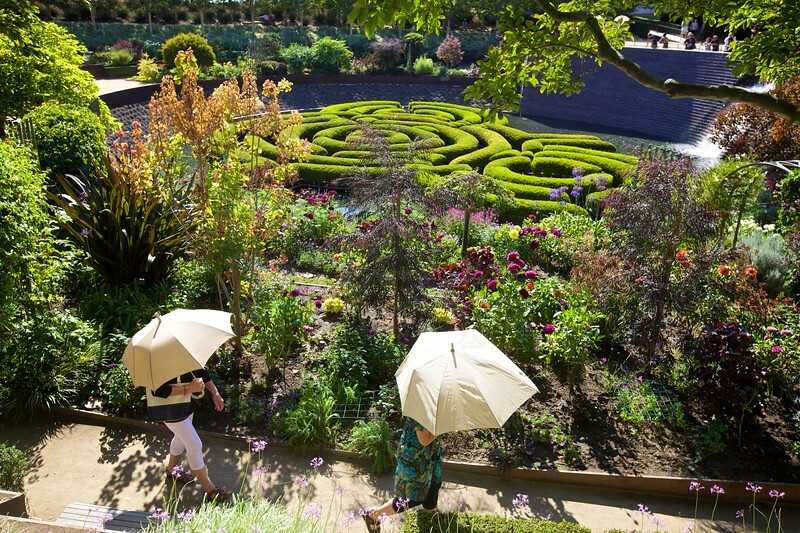 Visitors in the ornamental gardens of the Getty Center. 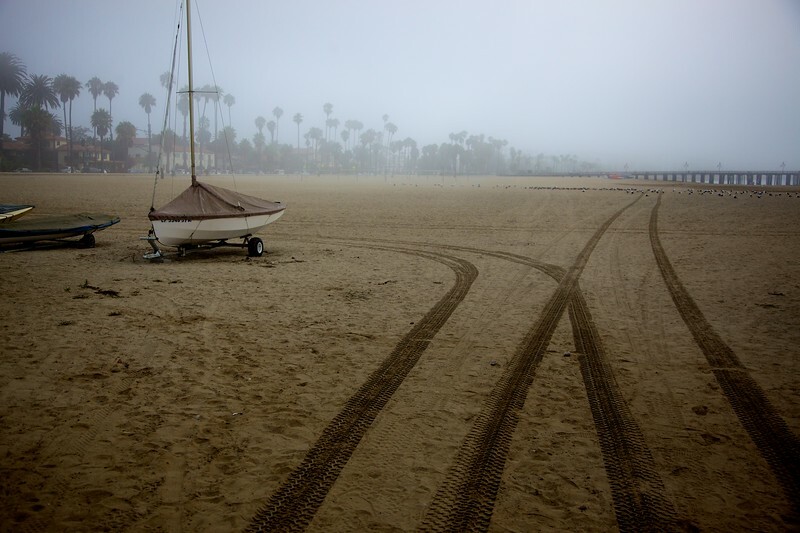 Morning mist along the beach at Santa Barbara in August 2013. 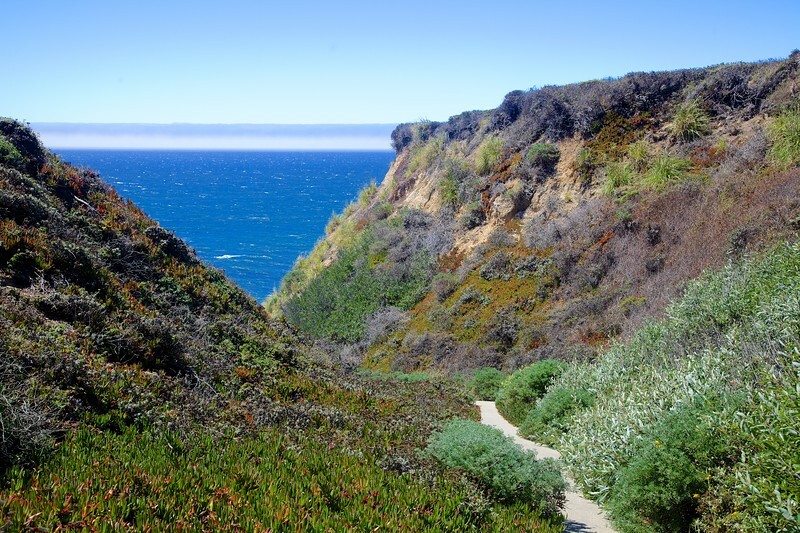 In the San Marcos Pass, just north-west of Santa Barbara. 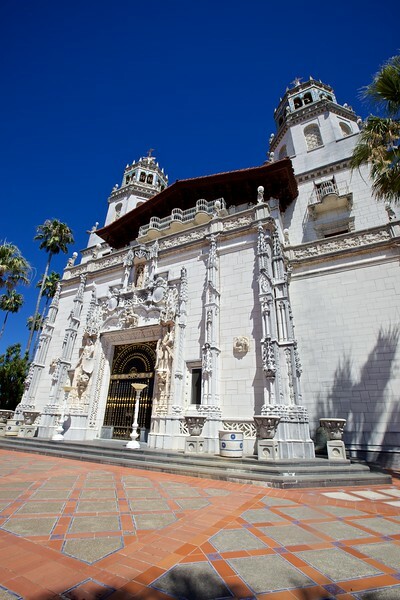 The entrance to Hearst Castle. 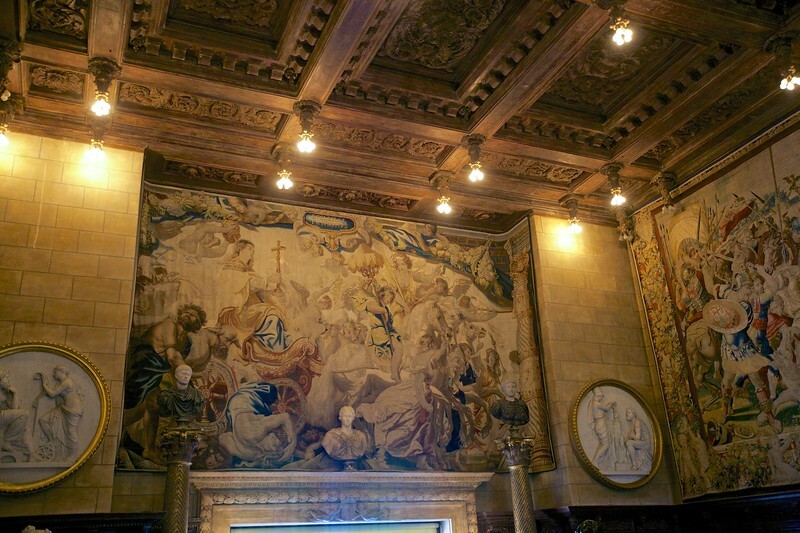 Some of William Randolph Hearst’s tapestries inside the great hall at Hearst Castle. 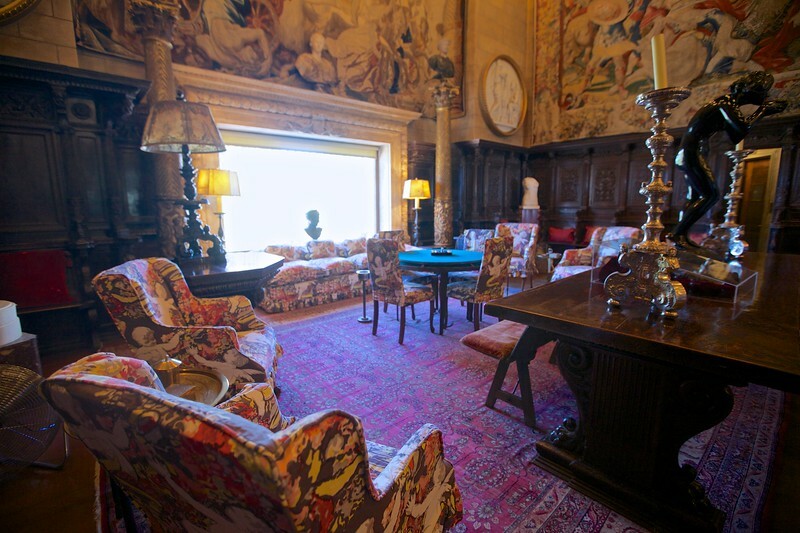 William Randolph Hearst used one end of the great hall at Hearst Castle to play poker with his dinner guests. 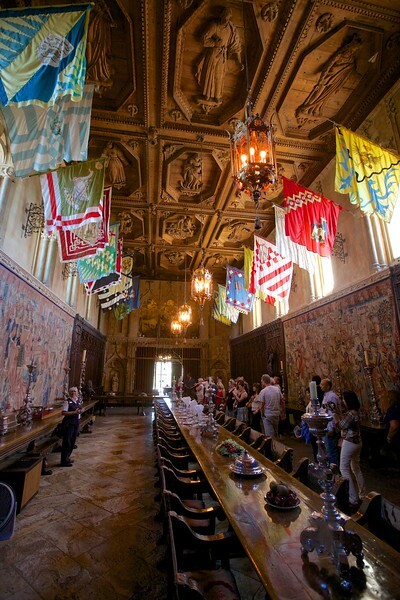 The flags in Hearst’s massive dining hall (not unreasonably referred to as the ‘refectory’) are those of the communes of Siena. 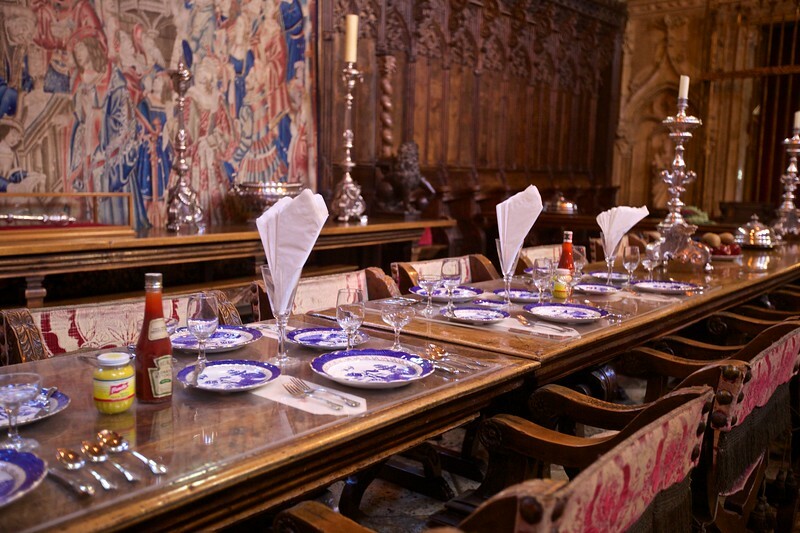 Visitors to Hearst Castle generally see the dining table laid in this informal style, i.e. with no table cloths, paper napkins, condiments on the table in their original packaging, etc. 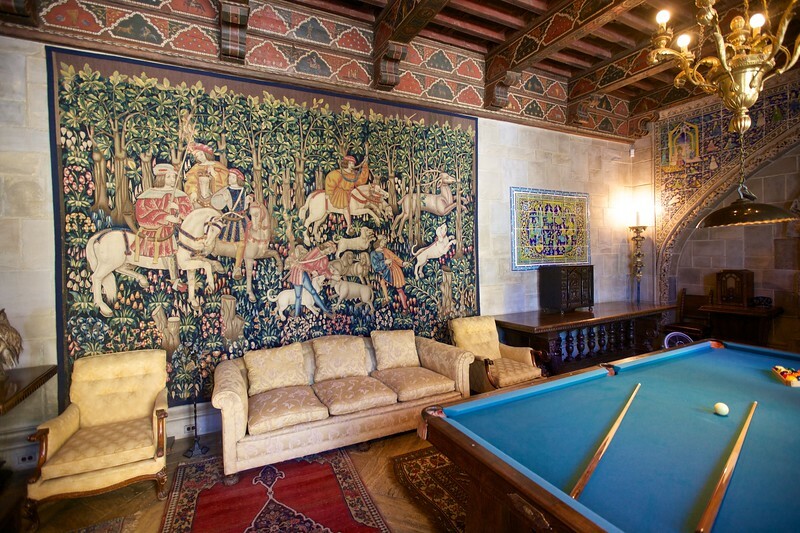 The billiards room at Hearst Castle. 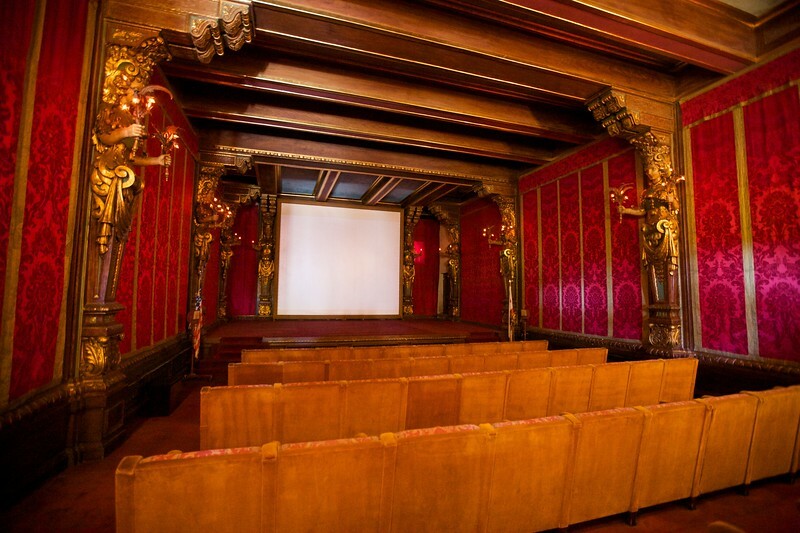 William Randolph Hearst’s cinema at Hearst Castle. The tour guide explained that it was Hearst’s practice when hosting dinner parties to show a film here, generally starting at about midnight. The late start was to allow the servants to finish washing up and change their clothes before coming to join the invited guests. 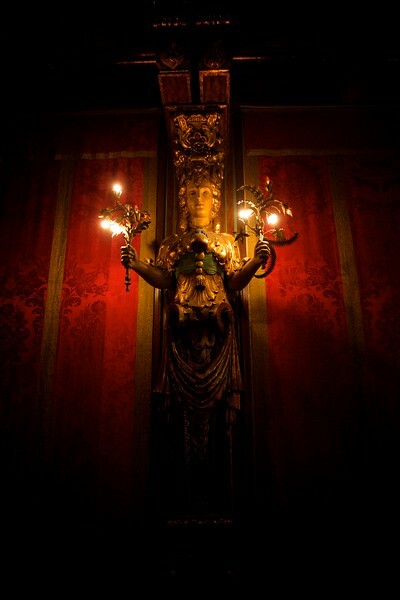 A light fixture in Hearst Castle’s cinema. 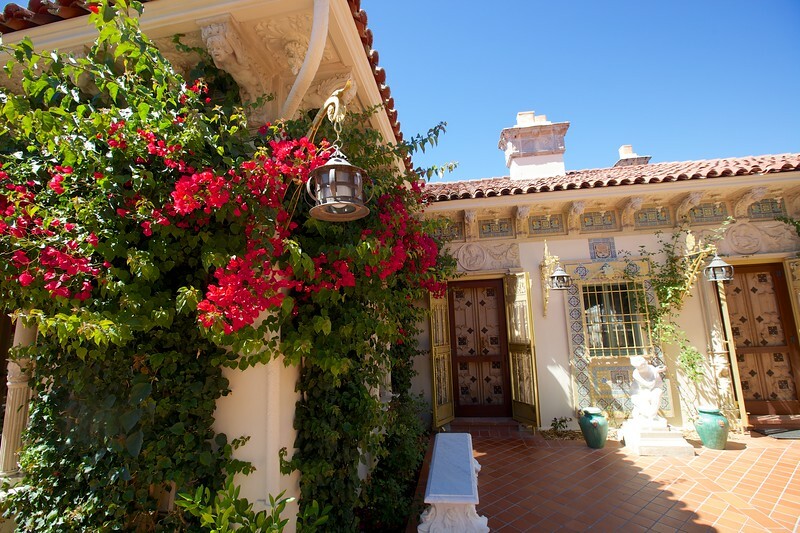 One of the guest houses at Hearst Castle. 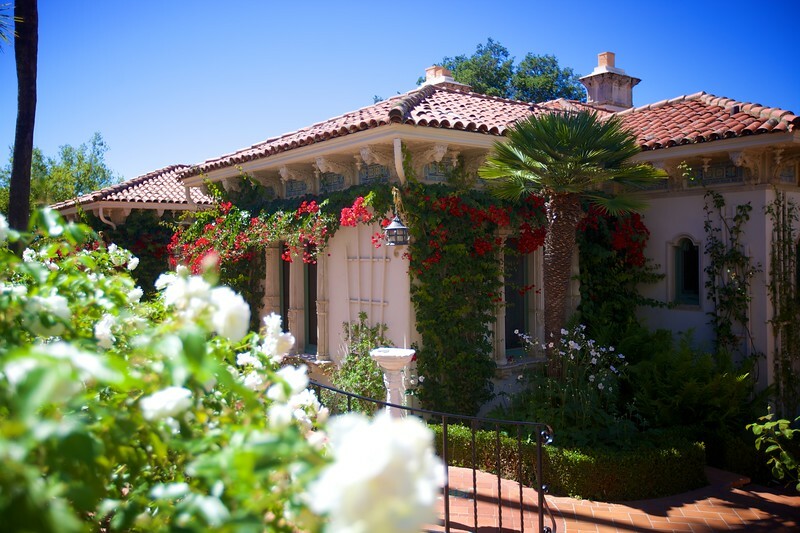 Another guest house at Hearst Castle. 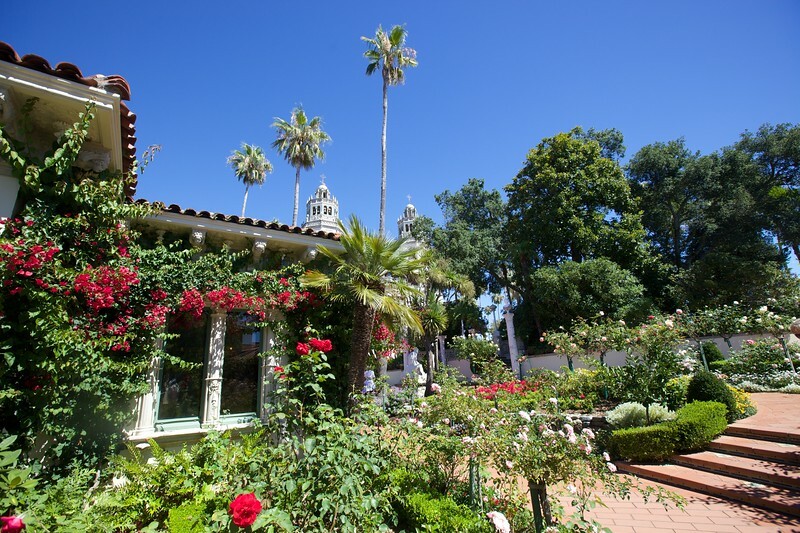 In the gardens of Hearst Castle. The towers of the main castle building can be seen in the background; in the foreground is one of the guest houses. 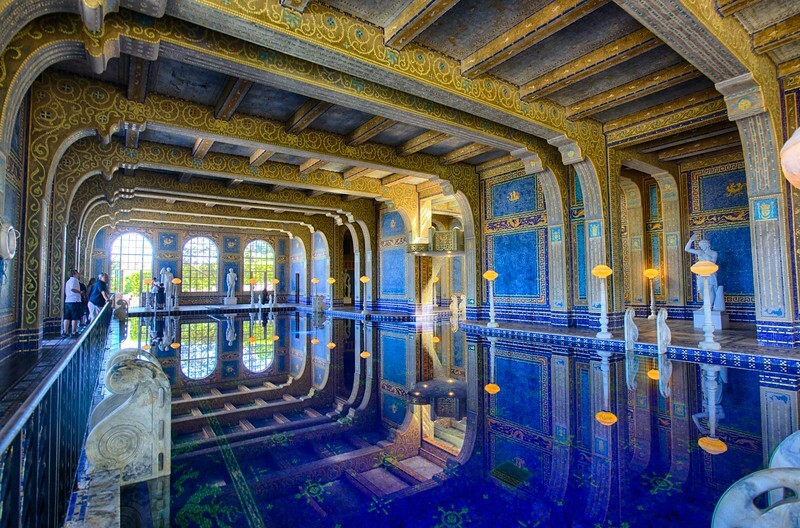 The main outdoor swimming bath at Hearst Castle. 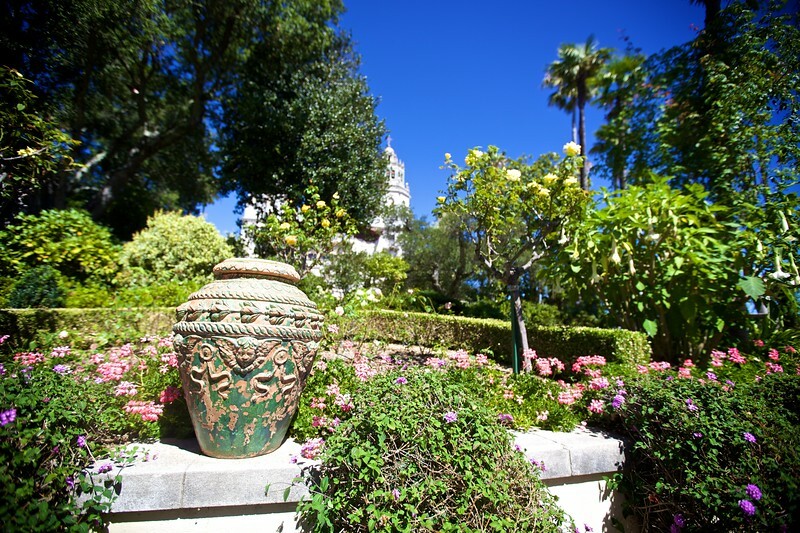 In the gardens of Hearst Castle. 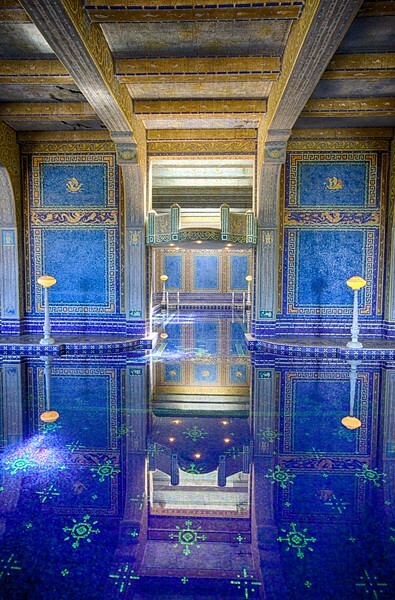 The ‘Roman bath’, the indoor pool at Hearst Castle. 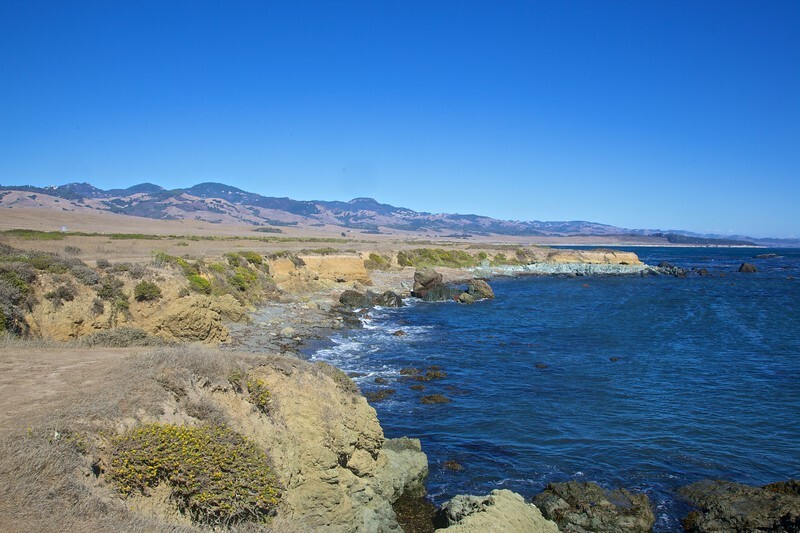 The Pacific ocean along California Highway 1 (at this point the Cabrillo Highway), north of Hearst Castle. 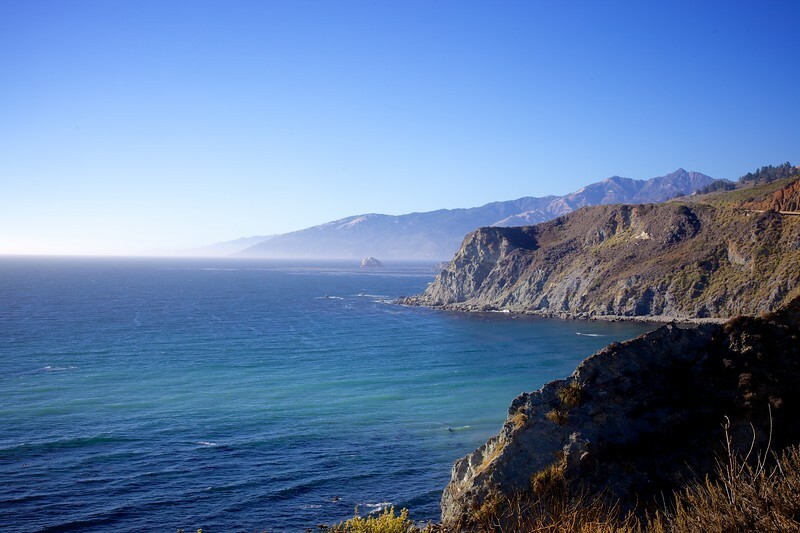 A car travels along California Highway 1, which for most of its distance hugs the Pacific coastline. 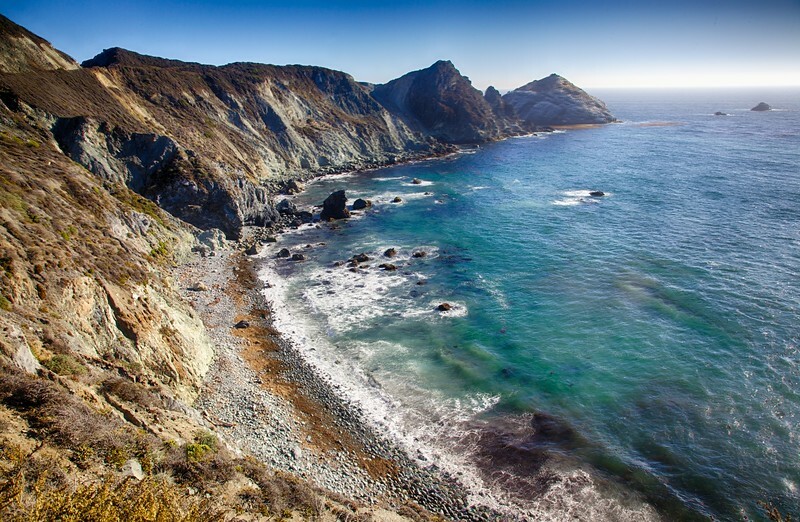 The coast of Big Sur, California. 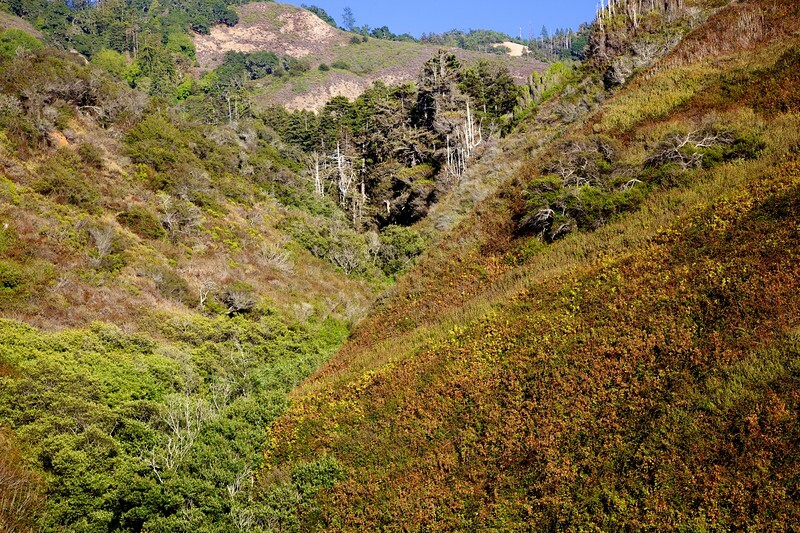 Some hills of Big Sur, along the Californian central coast. 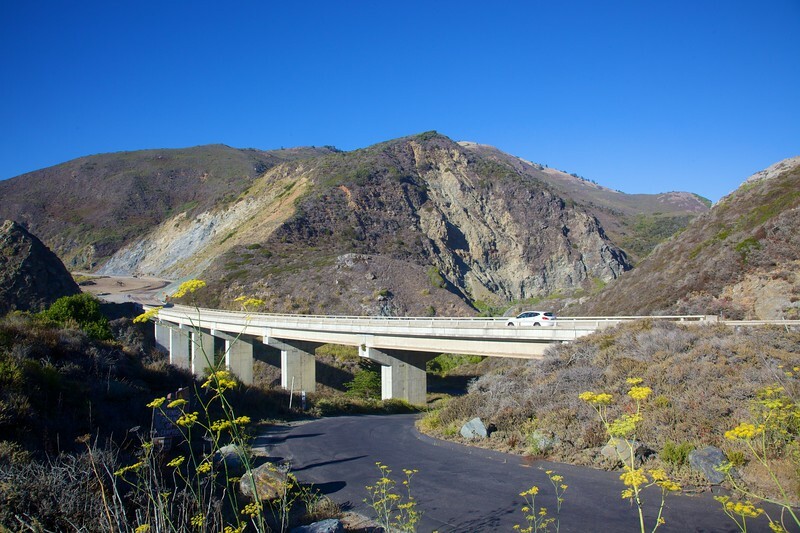 A car passes along California Highway 1 going through Big Sur. 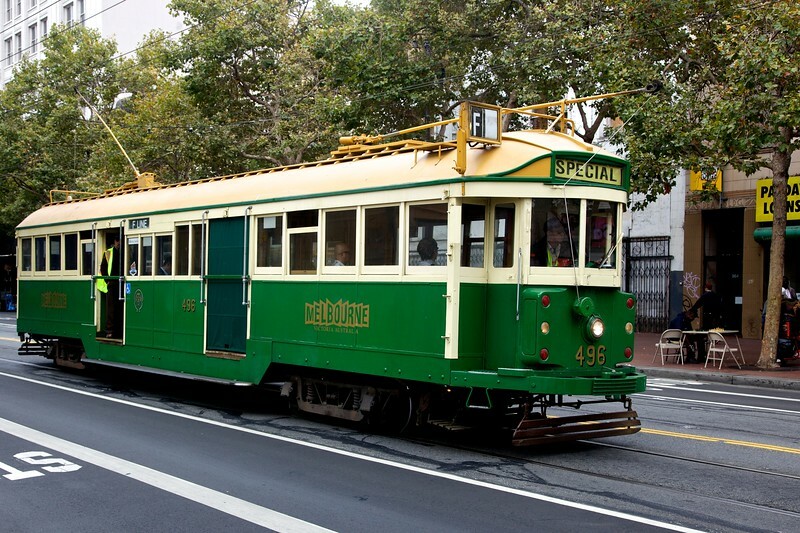 One of two historic Melbourne trams in the San Francisco F-line collection. Evidently an arrangement was made to update the livery of the tram with Melbourne’s current tourism branding. 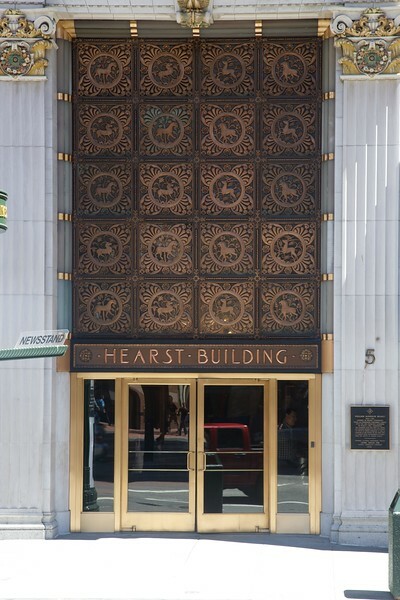 The entrance to the Hearst Building in San Francisco. 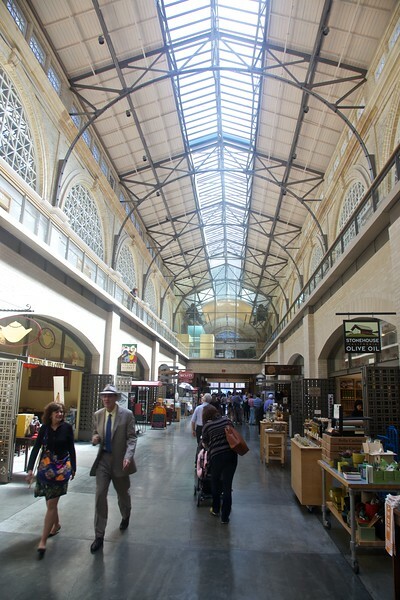 Inside the Ferry Building, San Francisco. 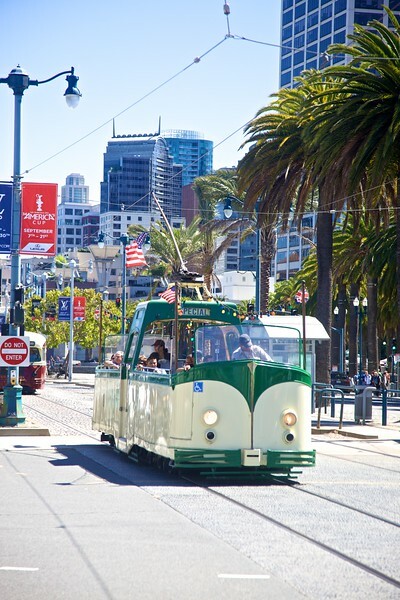 The Blackpool ‘boat tram’ which is part of San Francisco’s F-line collection of trams. 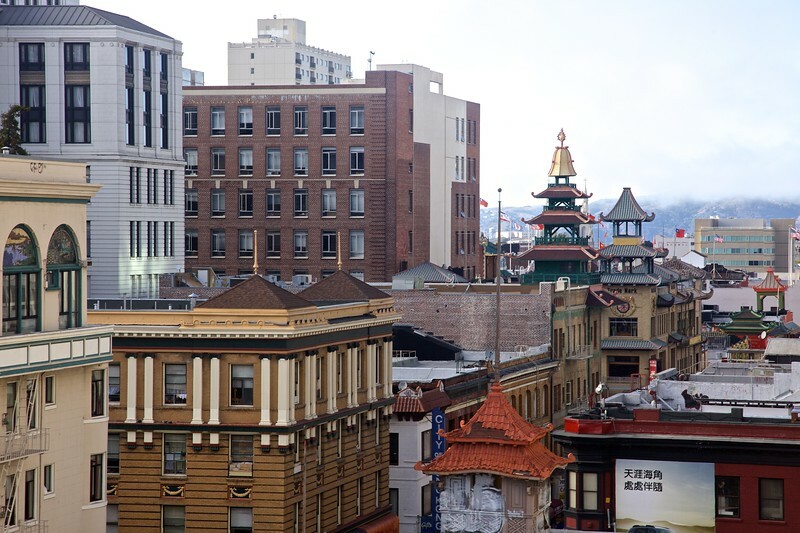 View across the roofs of Chinatown in San Francisco. 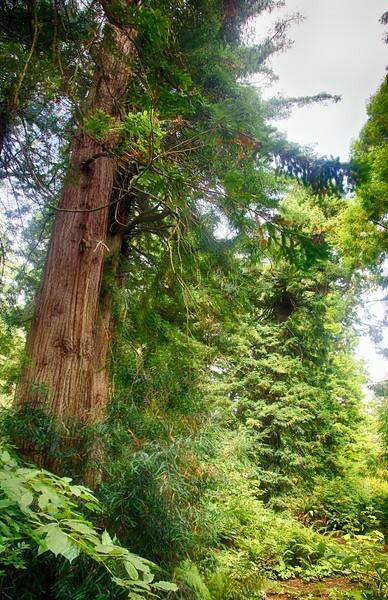 In the redwood display in the San Francisco Botanical Garden within Golden Gate Park. 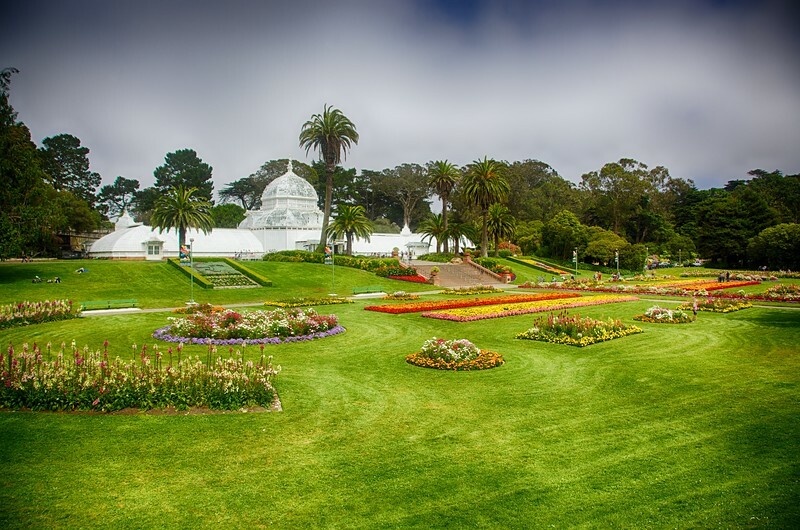 The Conservatory of Flowers in San Francisco’s Golden Gate Park. 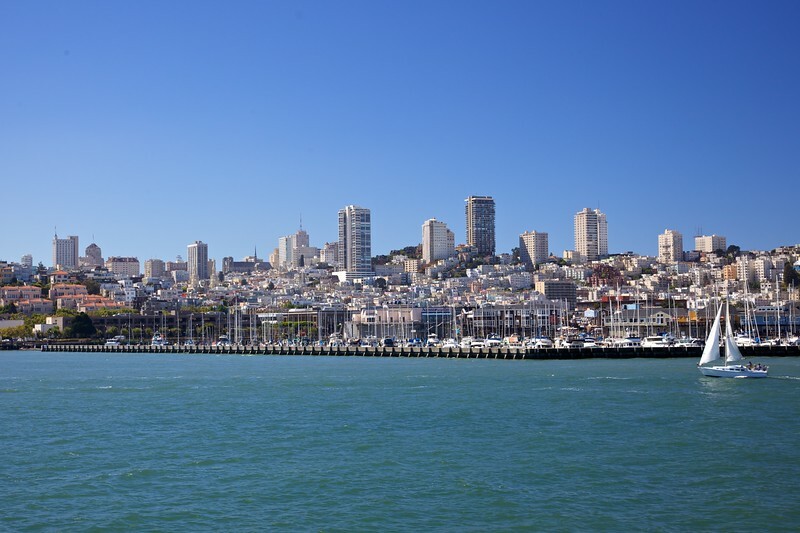 The San-Francisco skyline as seen from the Marin headlands, adjacent to the Golden Gate Bridge. 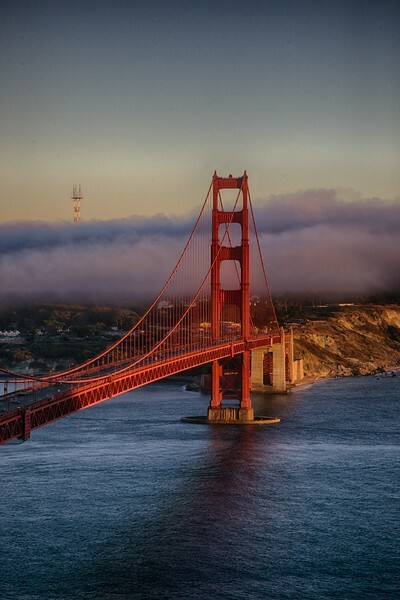 The Golden Gate Bridge at sunset. 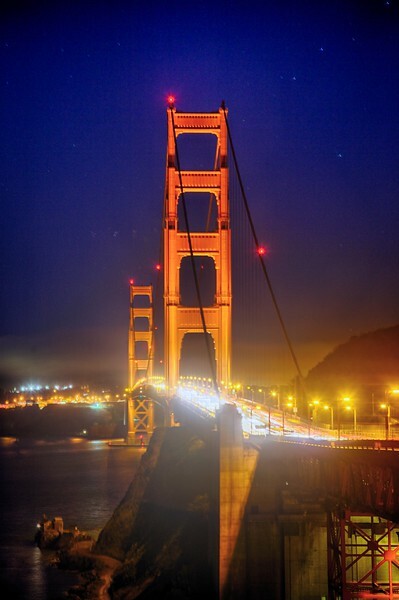 The Golden Gate Bridge at dusk. 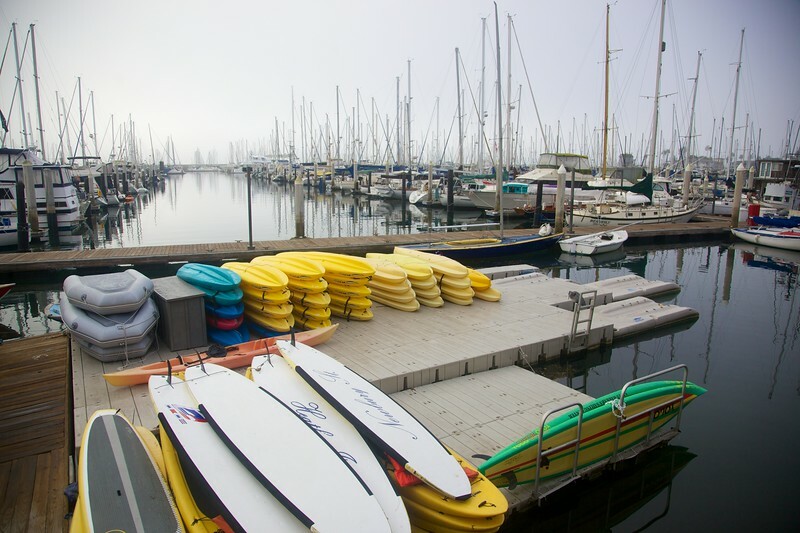 The San Francisco marina as seen from the ferry going to Alcatraz Island. 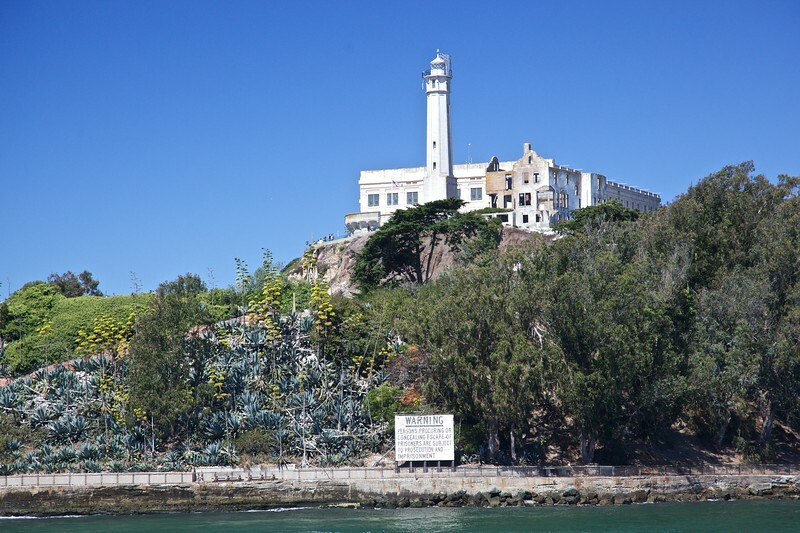 Arriving at Alcatraz Island. Much of the main prison building has been preserved or restored, but other buildings—such as the Warden’s accommodation, visible here—has not survived so well. 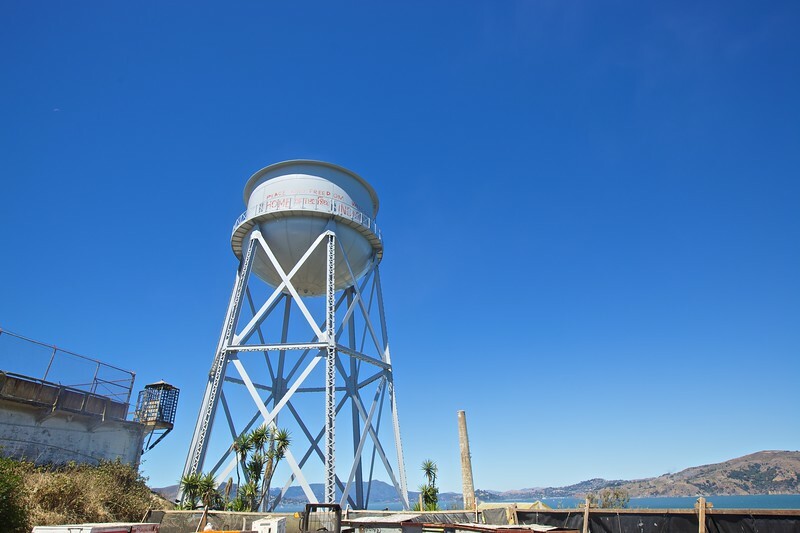 The water tower at Alcatraz Island bears a political statement by the Red Indians who took occupation of the island in 1969 after the federal prison had been shut down in March 1963. 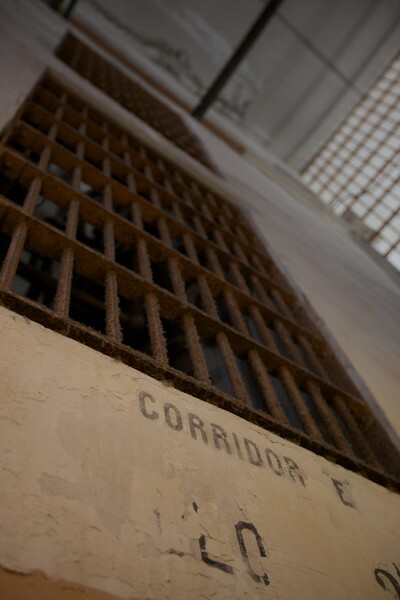 The interior of one of the ordinary cells in Alcatraz Federal Penitentiary. 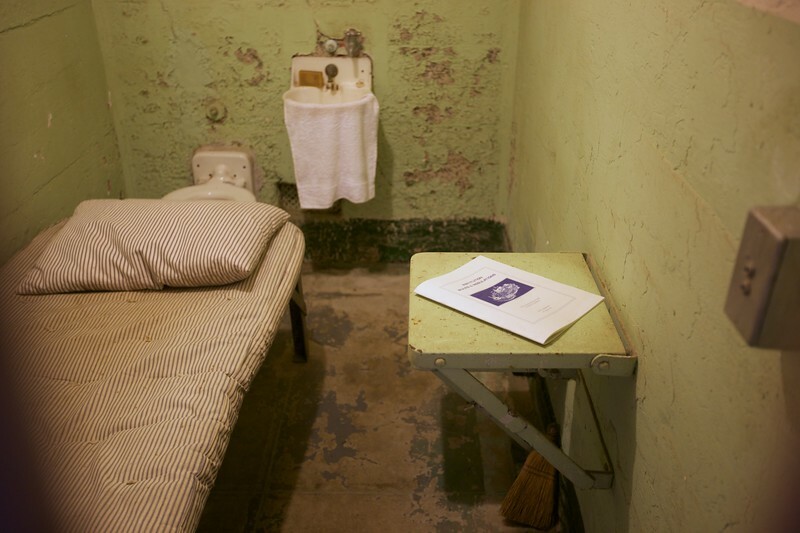 The ‘Institution Rules and Regulations’ document artfully laid on the prisoner’s table is not original, but is a modern re-setting of the original document. Available for sale in the shop. 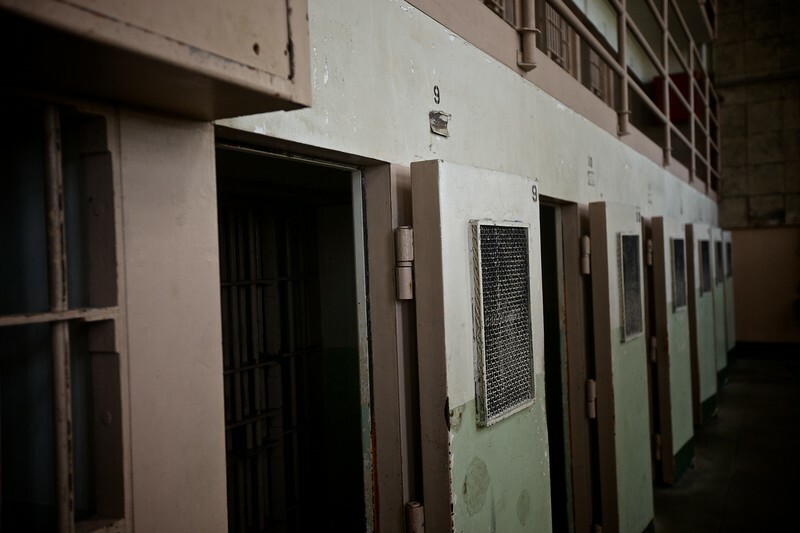 The solitary confinement cells at Alcatraz Federal Penitentiary. 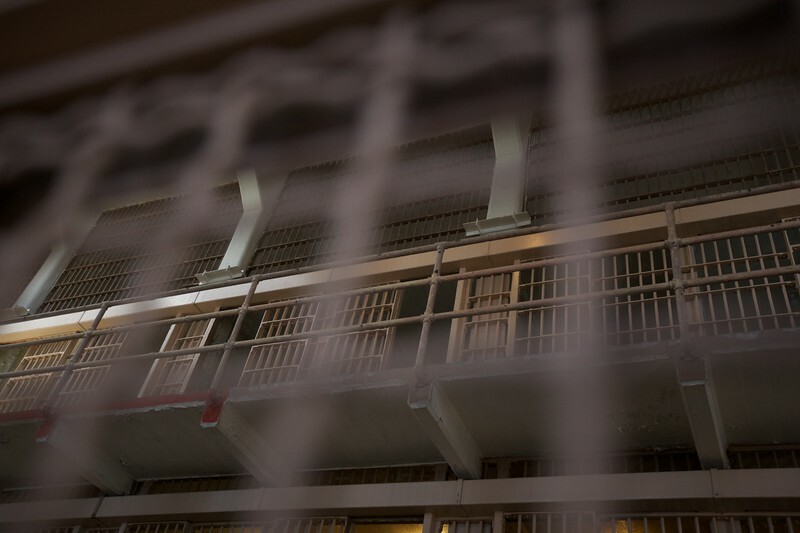 Inside the prison at Alcatraz. 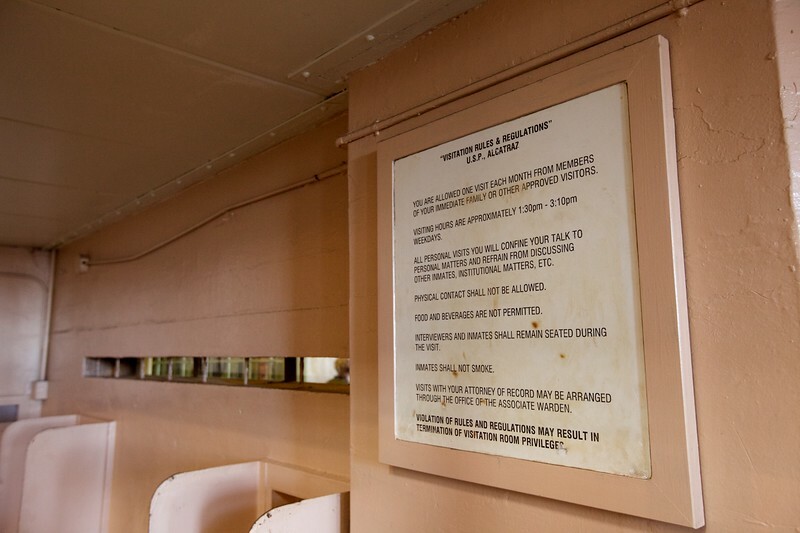 The rules for prison visits at Alcatraz. 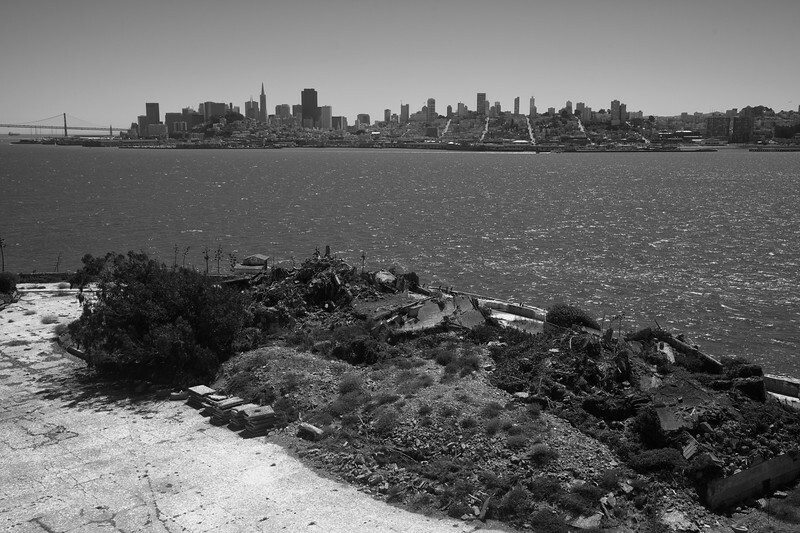 There is rubble piled at various places around Alcatraz Island. View towards the Golden Gate Bridge from Alcatraz Island.